The Waterside Inn is the perfect place for your organizations meeting or conference. Large or small, we can accommodate your group for an afternoon meeting or for a series of get-togethers over a longer period of time. Our central location on the shores of Lake Ontario provides you with access to a range of activities across the Greater Toronto Area to highlight your conference and enhance the experience for your attendees. 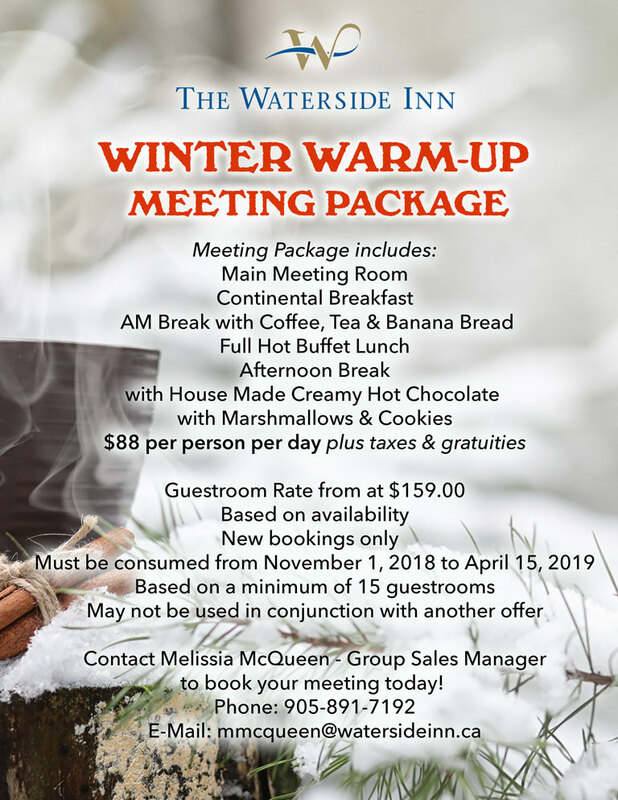 We’re also happy to announce our Seasonal Meeting Packages. Each season, we’ll offer a new package designed to accentuate the four seasons of Southern Ontario, and make your stay as unique and interesting as our beautiful environment.